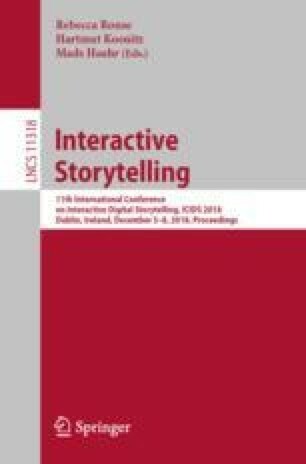 To explore methods that are currently used by professional virtual reality (VR) filmmakers to tell their stories and guide users, we analyze how end-users view \(360^\circ \) video in the presence of directional cues and evaluate if they are able to follow the actual story of narrative \(360^\circ \) films. In this context, we first collected data from five professional VR filmmakers. The data contains eight \(360^\circ \) videos, the directors cut, which is the intended viewing direction of the director, plot points and directional cues used for user guidance. Then, we performed a subjective experiment with 20 test subjects viewing the videos while their head orientation was recorded. Finally, we present and discuss the experimental results and show, among others, that visual discomfort and disorientation on part of the viewer not only lessen the immersive quality of the films but also cause difficulties in the viewer gaining a full understanding of the narrative that the director wished them to view. This publication has emanated from research conducted with the financial support of Science Foundation Ireland (SFI) under the Grant Number 15/RP/2776.